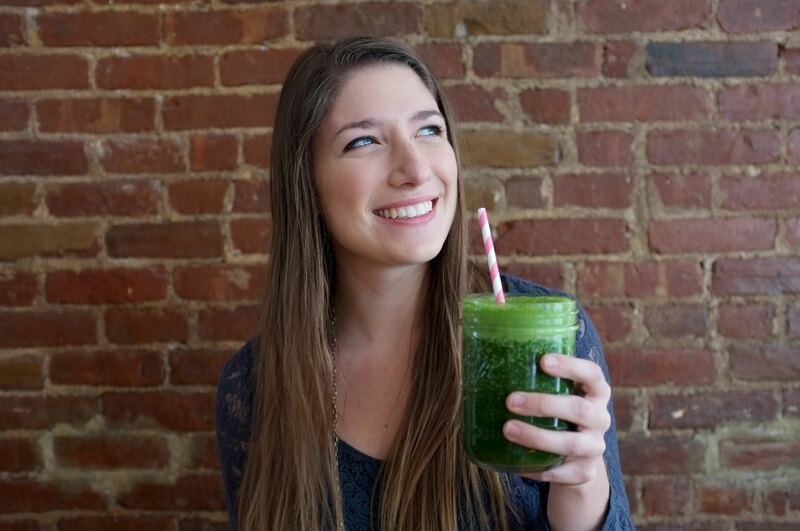 Today we hear from entrepreneur Jenna Tanenbaum, the founder of GreenBlender, the smoothie delivery service that is rich in flavor and health. The company backed by New York investors FOOD-X, has raised 4 rounds of funding and has been featured by the Food Network, Vogue, Today and many other outlets. Jenna has worked at various other New York Startups including Chartbeat and ClassPass. I have always been in love with data and numbers. For me, there is nothing more satisfying than a well laid out excel spreadsheet. I went to college at the University of Pittsburgh and graduated with a degree in business and finance. I moved to New York shortly after graduating and planned to make a career out of consulting and banking. I quickly realized that wasn’t for me and started working at a real time data analysis startup, Chartbeat. Chartbeat was my first venture into the startup tech ecosystem in New York City and I was hooked. I became a data analyst and really learned the ropes about business intelligence and SaaS companies. I jumped head first into the tech scene and went to as many meetups and talks I could that related to my vertical. After a time at Chartbeat, I started getting antsy working exclusively in real time data. I wanted to shift gears into something I personally believed in, and that was health and wellness. I had started a fitness blog that grabbed the attention on newly launched fitness startup, Classtivity (which became ClassPass). ClassPass poached me after a conversation we had on Twitter and I started working as the first marketing hire. ClassPass was exciting. I had a crash course in marketing, high growth startups, and community engagement. Looking back, starting GreenBlender seemed like a natural continuation on my career path — I say this of course looking back. When I decided to quit my job and start something from scratch, I was terrified. Amir Cohen and I launched GreenBlender shortly after moving in together to a Prospect Heights apartment, in Brooklyn. I’m an active health and fitness enthusiast, and Amir… well not so much. I bought a blender and started making smoothies for breakfast before work and giving Amir some of the left-overs. Before we knew it, we were both making smoothies every morning and feeling amazing. That’s when we realized that when great ingredients and delicious recipes were easily accessible in our home, it was easy to start our day with a healthy decision. We wanted to bring that experience to as many people as possible. Amir and I both had careers in online startups before launching GreenBlender. We saw the power an online business held and wanted to create a hybrid of an online experience and a physical product that helped people create healthy habits that lasted a lifetime. Nobody has the same exact experience than you do. One of the main advantages of starting a tech company was my unique experience working in data analysis and fitness. GreenBlender wouldn’t be a company without my perspective, brand and approach. I think one of the advantages of being a woman in tech is having the perspective of being a woman using tech. More female entrepreneurs spur and inspire more female entrepreneurs. It’s every female entrepreneur’s responsibility to be aware of the gender discrepancy and champion other females. Do you know someone who just started a business? Reach out and ask how they are doing. Entrepreneurship can be a lonely road and even just lending an ear and moral support can make a big difference. Diversity to me is building a team with people from all walks of life. It’s finding the best person for the job. I can’t speak for all tech, but at GreenBlender having a diverse company creates more ideas. With such a wide range of life experiences we are able to look at problems from different perspectives and avoid an echo chamber. This goes back to the diversity. Having a diverse team is just good business. Women who hold senior level roles in organizations can have a big impact not only in the direction and policies of a company, but in mentoring and inspiring the next generation of women in business. Don’t ask for permission, ask for forgiveness. I talk to a lot of young women who genuinely don’t feel like they have enough experience or qualifications. If you truly believe in something, you will find a way to teach yourself the necessary skills to get the job done. Action is better than inaction. Even if, at the end of the day, you don’t end up achieving what you set out to do, think about all you learned in the process. Now think about what you would have learned if you had done nothing. It’s all about being aware of your surroundings and behavior. When you are not the minority at the table, you may not be aware of it. Men need to look around their conference room or office and ask themselves “are their only people like me at the table?” if the answer is yes, make a change. Previous Are You Selling Solutions Through the Right Channel? Next Is Robot Virtual Reality Just Hype?